If you are searching for a helmet that has comfort as a priority, the Speedglas 9100xxSpeedglas 9100xx is what you need. Welding will become a very enjoyable experience thanks to this too. In addition to heightened comfort, this helmet is also highly versatile. This helmet will protect your eyes and face completely, allowing you to focus more on the task at hand than worry about your general safety. This 3M Speedglas 9100xx helmet is available in the color black and in various sizes, weighs between 1.3 and 2.1 pounds (depending on the size you order), and has a warranty from the manufacturer. 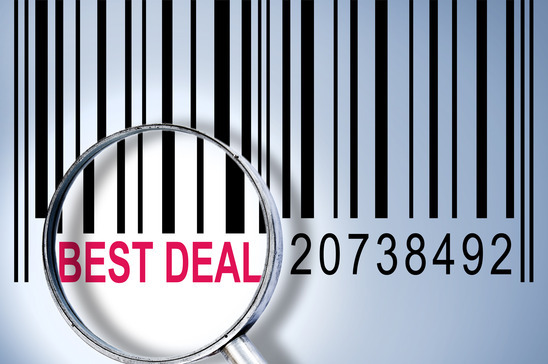 Before you make your purchase, you should know what benefits you are likely to experience. There are versions available that have side windows that help to expand your field of vision. 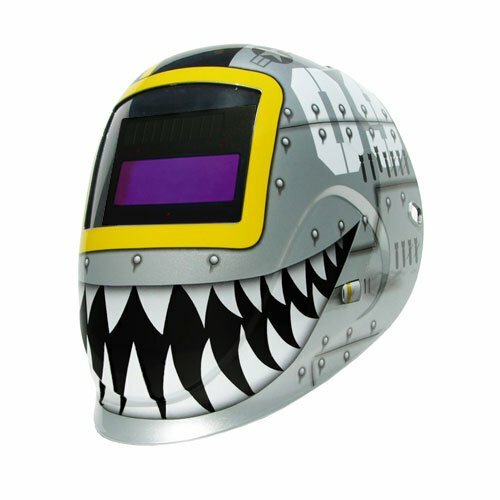 The helmet allows use with all Stick, MIG and TIG processes. There are automatic features, including an auto darkening filter feature that offers additional protection for the eyes. It makes work easier as it is so comfortable to wear. It comes in a range of sizes, starting from standard and going all the way to extra-large. There are three sensors in the lens that activate the auto darkening feature and this reduces the need to flip the welding helmet. The helmet has a long battery life of up to 2000 hours. This helmet has a highly adjustable, ergonomically designed head suspension system for a comfortable fit. It may be a little too heavy for some welders, especially those who have to wear the helmet all day, every day. This extra weight may lead to neck pains. You need to be careful when making your order. Ensure that the model has SW at the end if you want to get a helmet that has side windows. This helmet can be used in a range of industries including the automotive, food and beverage, construction, fabrication, mining and other industries. It protects the eyes and face from sparks and spatter, visible light, infra-red radiation and ultra-violet radiation. There are user selectable dark shades 5, 8-13 and a lighter shade of 3. There is an entire series of helmets under the 9100 umbrella, and of the helmets in this series, the 9100xx offers the largest available viewing area of 2.8 inches high by 4.2 inches wide. As much as there are so many attributes that we liked about the Speedglas 9100xx, there is one thing that we did not like. That was the fact that there has been a customer complaint that the helmet let radiation through at times. The result of this is damage to the eyes which can be long term, leading to eventual blindness. On the whole, customers love this helmet. The most stand out features are the side windows and the main window which improve visibility tremendously. The response time is spot on, and it is viewed as being well worth the price due to its abilities. In addition, both professional users and novice users have highly commended this helmet, particularly because it is so comfortable and offers great clarity. Both professional and novice welders need a helmet that they can use comfortably, and without concern over the helmet interfering with their work. The main reason for this is that welding is dangerous work and calls for the welder to give their full focus to the job at hand. 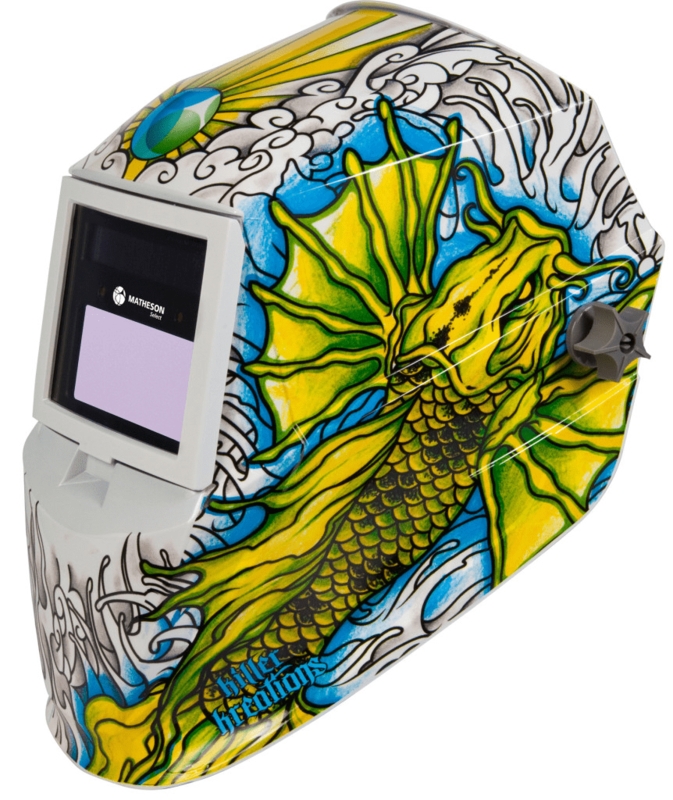 The Speedglas 9100xx helmet offers an all-round solution to any concerns that may arise from welding needs. The first of these is safety, and this model has been tried and tested, and has been proven to be safe. The second of these needs is comfort, this helmet comes in different sizes and is adjustable, so that it fits firmly and is easier to maneuver. Finally, the last leading attribute of the Speedglas 9100xx is its side windows. These help to dramatically increase the viewing area, allowing for more accurate and detailed work. Backed by an excellent price and manufacturer’s warranty, this helmet is highly advised for purchase.